Once again Kindle Alexander has blown me away with a story that from the start you feel the connection leap off the page. Before we dive much further into the story - know this is not a motorcycle club trope read. Yeah, yeah, there is a club but its not the foreground story. For me, this story was a tried and true opposites attract romance and I LOVED IT! Alec presents as the cocky, rich attorney. Everything in place and perfect. He has the perfect car, perfect house, perfect hair but not the perfect love life. He is in a position of media exposure. It's not the perfect set up to attract a lover especially when you like the bad boys. Keyes presents as the gruff, closed off mechanic. His life is full of hard work, grease and his 'family'. He is in a position where he just needs to keep his head down, hands clean to make his life better. It's not the perfect set up to attract a lover especially when you feel like there is no room. But as Kindle Alexander unveils the layers to these characters you learn there is so much more to them. They offer up their soft bellies of vulnerability you cannot help but fall in love with. They have that 'instalove' attraction I am a sucker for but can't stay away from because how-can-two-guys-from-opposite-sides-of-the-tracks-work? 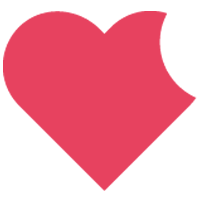 This is a story of opposites finding a way to find their piece of heaven in each other. I loved learning each piece of what made the characters tick and how they unveiled their relationship fears to the other. Both characters are surprising because you anticipate one 'type' and Ms. Alexander delivers something different. But perfect. I think that most readers will click on the story expecting maybe a typical crime and suspense - they will be happily surprised. The story is beyond what their life roles define them as. There is secondary storylines that are impactful but Kindle Alexander guides the path so the reader gets a better understanding of who they are and who they would love to be. This story flowed perfectly for a day to read it in one sitting. 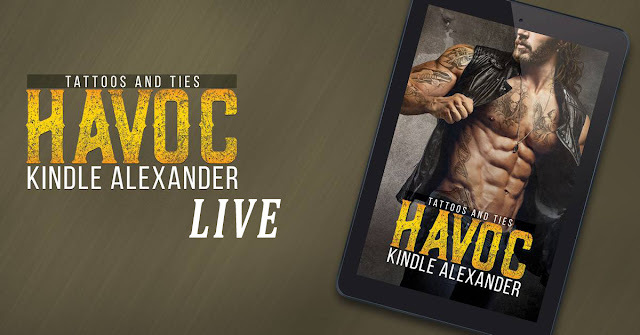 This title is part of series however Havoc does end on a HFN to be read as a standalone. But if you are like me, you know there is way - WAY - more to their story to come. --- And I can't wait!